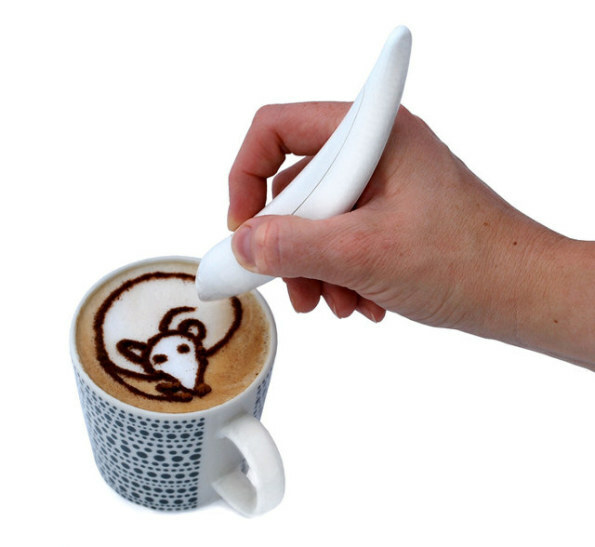 This is the CinniBird Pen. It allows you to write and draw on food with natural materials. You can use any ground spice you like — cinnamon, cocoa, pepper, paprika, parsley, cocaine. Is cocaine really considered a spice, you ask? Of course it is! Cocaine is the spice of life. Just kidding, that’s just the cocaine talking again.